Redneck Mason Jar Shot Glass - 2 Oz. | BUDK.com - Knives & Swords At The Lowest Prices! Redneck Mason Jar Shot Glass - 2 Oz. Drink your moonshine out of a Redneck Mason Jar Shot Glass and you will be accepted as a card-carrying Redneck! 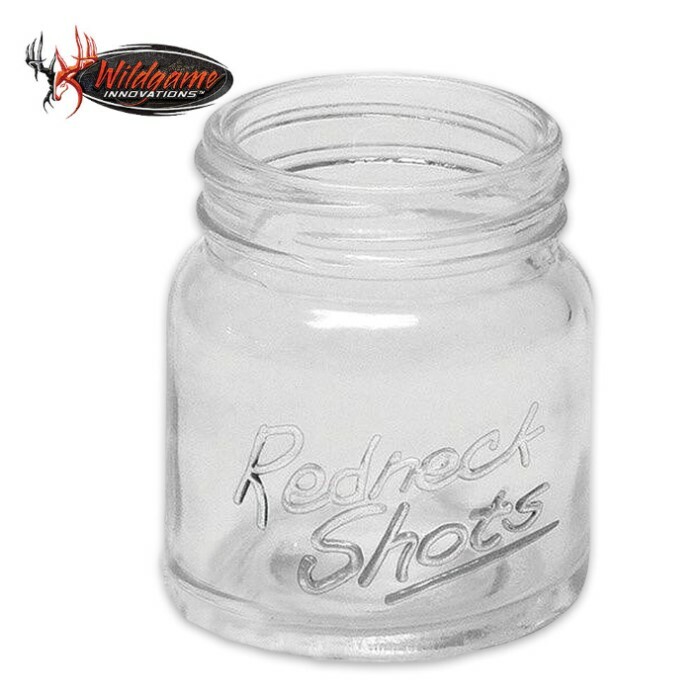 The miniature mason jar shaped shot glass features the “Redneck Shots” logo on the side. It is 2 x 2 1/4”.